Super Junior's Shindong revealed the chances of him dating Park So Hyun on the March 20th installment of 'Video Star'. 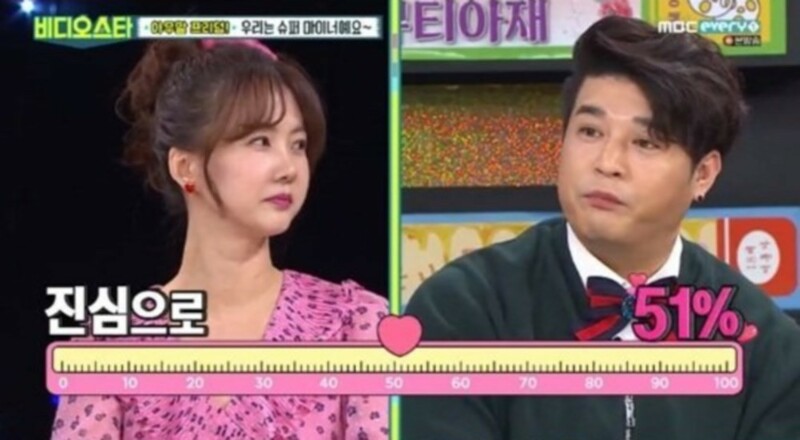 Shindong shared that he used to harbor a slight crush on the older actress, and the 'Video Star' hosts couldn't help but ask what the chances of the two dating were. The Super Junior member stated, "I wonder what it would be like to date So Hyun noona." When Kim Sook asked, "What percentage are you serious about dating her," and Shindong responded, "I feel a little sincere about this. If Park So Hyun confessed her feelings for me, I would sincerely think about it 51%. That's only because we don't know each other as lovers yet." Can you imagine Shindong and Park So Hyun together or do you think it's an odd match?